Teachers and students love using Let’s Go because they see success from the very first lesson. Let’s Go gets children talking from the very beginning with conversation, and question and answer practice. Headway is the world’s best-selling English course – used successfully by more than 100 million students. For people who want to succeed in business, the ability to communicate with others from different countries and cultures is crucial. Business Venture has a first-class track record in equipping students with the English skills they need. 24 million children around the world have learned English using Let’s Go! Teachers and students love using Let's Go because they see success from the very first lesson. Let's Go gets children talking from the very beginning with conversation, and question and answer practice. Let's Go uses children’s natural skills through music and movement with the acclaimed Carolyn Graham’s fabulous songs, chants and drum tracks – so they will remember the language and build their fluency. Let's Go lessons are systematic, clear and so involving that children always know what to do. TeachCast with Oxford uses Let's Go materials to ensure your children achieve success in English. Let's Go offers seven levels. Each of the sevens levels have a total of 32 lessons containing a self-study module and a TeachCast broadcast session. Learners take an online quiz after each unit. In addition, there is a mid-term test and a final test. Student progress is tracked for their own personal use or for the use of parents and educators. The world’s best-selling English course – used successfully by more than 100 million students. Headway is based on the most reliable methodology available. Headway has a perfectly-balanced syllabus, combining a strong grammar focus with modern approaches. The contemporary texts and attractive artwork in Headway keep students interested. Headway provides challenging and thought-provoking material which is ideal for adults and young adults. The topic-related language in Headway prepares students for everyday situations. With Headway, students learn correct stress and intonation helping them to develop natural-sounding English. 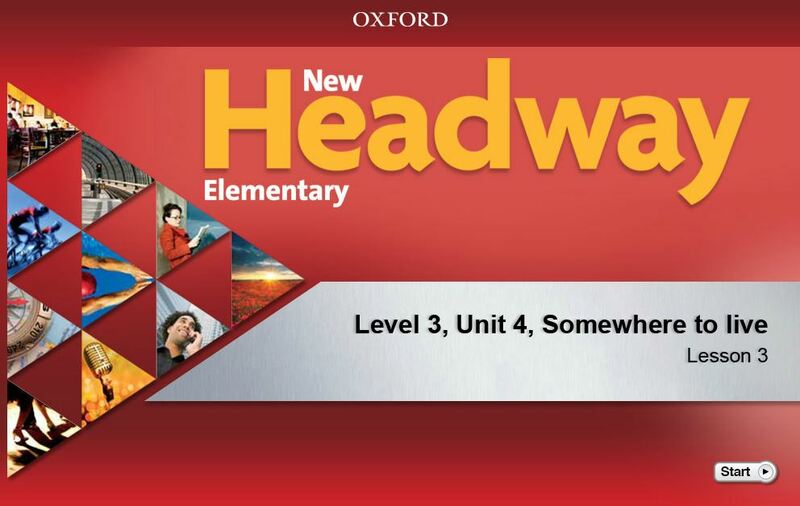 TeachCast with Oxford uses Headway materials – the most trusted way for adults to learn English. Each of the 10 Headway levels consists of 28 to 30 lessons containing a self-study module and TeachCast broadcast session. After studying a unit, learners take an online quiz. Student progress is tracked for their own personal use or for the use of parents and educators. The first choice for learning to communicate confidently across cultures and countries. For people who want to succeed in business, the ability to communicate with others from different countries and cultures is crucial. Business Venture has a first-class track record in equipping students with the English they need to operate successfully in a range of business situations. Business Venture provides supported speaking and listening practice to enable students to communicate with clarity and confidence. The focus of each lesson is clear, and course content is easy-to-follow, so that students make progress in every lesson. Business Venture also helps students understand other cultures, with tips about international customs and conventions. For students preparing for the TOEIC® test, Business Venture helps with tips, tactics, and practice. Business Venture is appropriate for students who have a minimal level of English, taking them from low beginner level to low intermediate. TeachCast with Oxford uses Business Venture materials to develop the skills people need to communicate effectively in business situations. Business Venture has three levels containing 12 units. Each unit has one self-study module and three TeachCast broadcast lessons. Quizzes measure student success at various intervals in the series. Student progress is tracked for their own personal use or for the use of employers and educators.